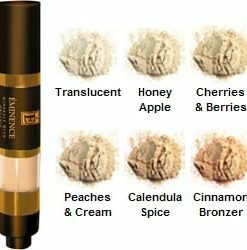 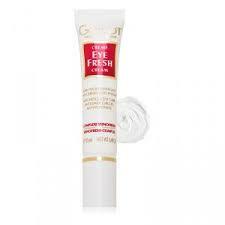 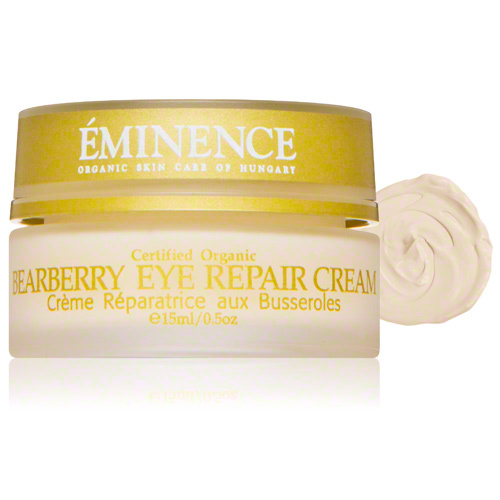 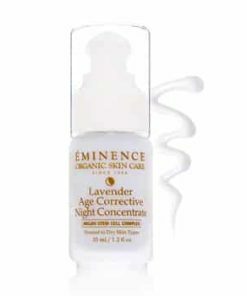 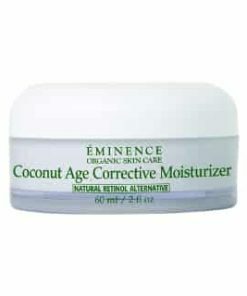 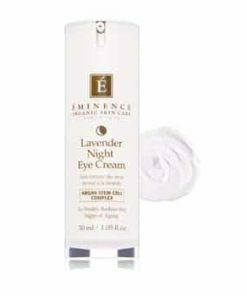 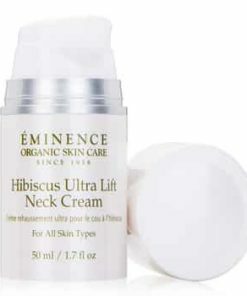 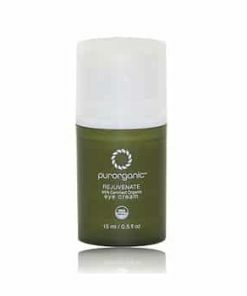 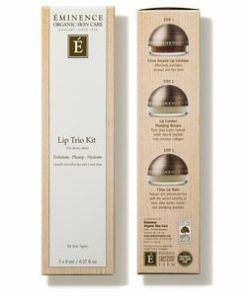 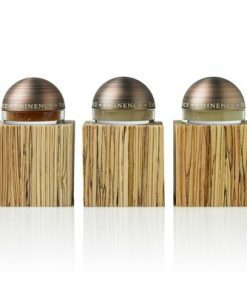 Eminence Bearberry Eye Repair Cream restores comfort, radiance and elasticity to the eye area. 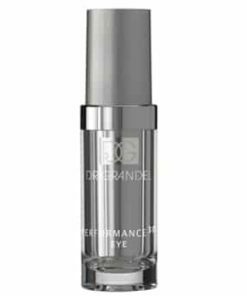 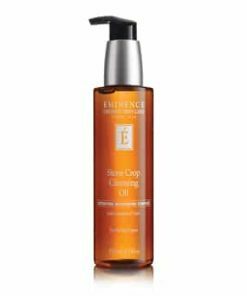 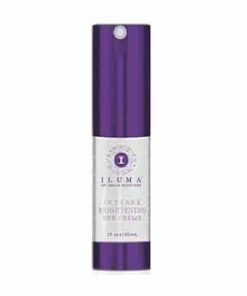 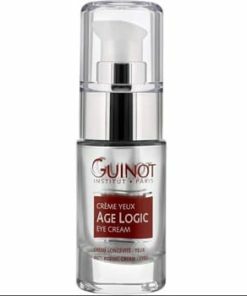 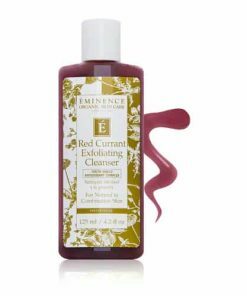 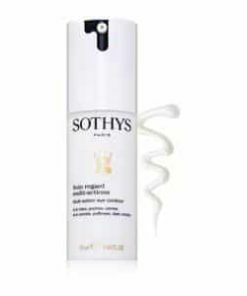 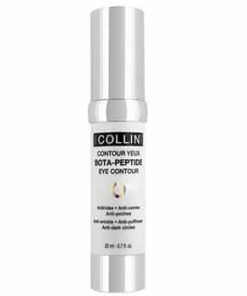 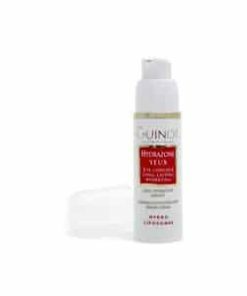 Bearberry extract brightens the look of tired eyes while red clover extract works to reduce the appearance of visible signs of aging. 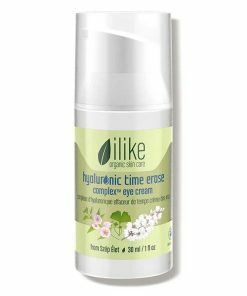 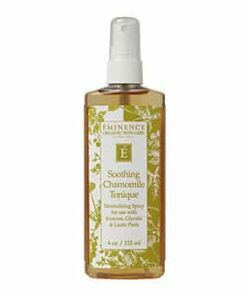 Parsley seed extract illuminates, eyebright firms and reduces inflammation, and hop extract calms and tones for a refreshed, radiant look. 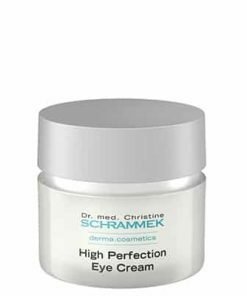 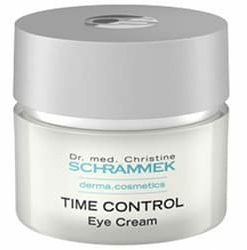 The eye area looks smoother, brighter and more youthful. 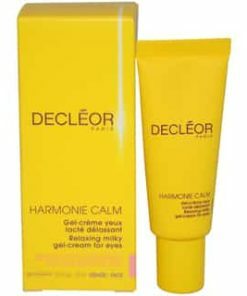 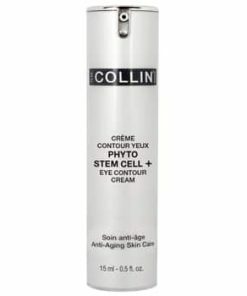 Reveal more luminous, younger-looking eyes. 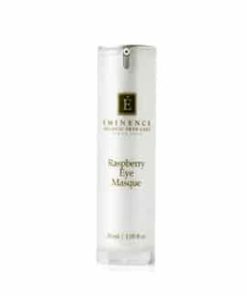 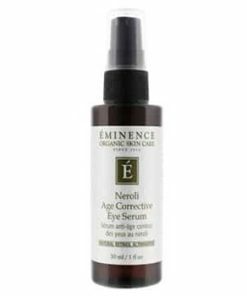 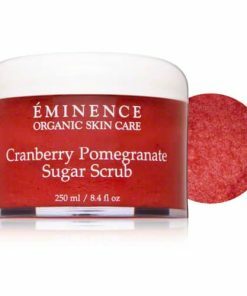 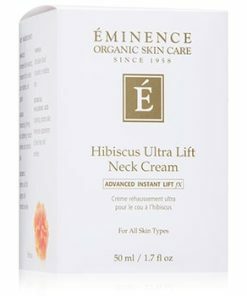 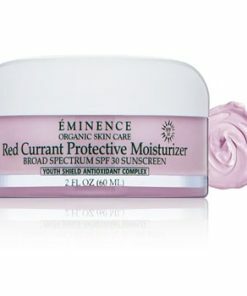 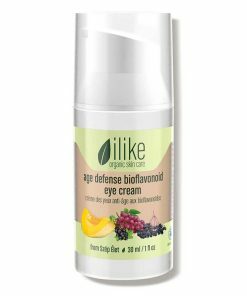 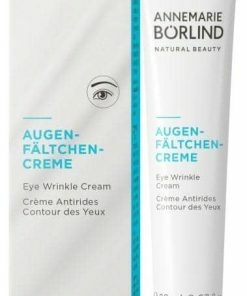 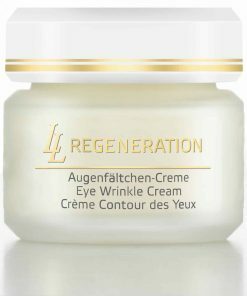 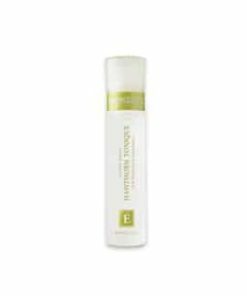 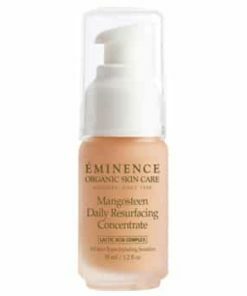 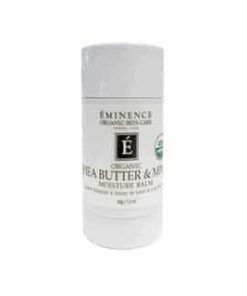 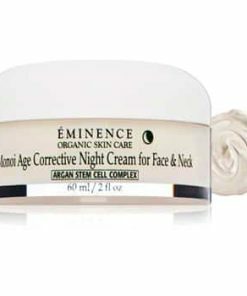 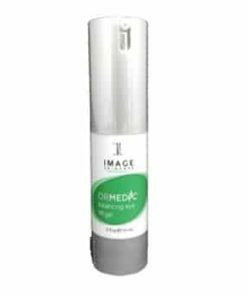 Eminence Biodynamic Bearberry Eye Repair Cream gently treats the fragile eye area, providing much-needed moisture and nourishment. 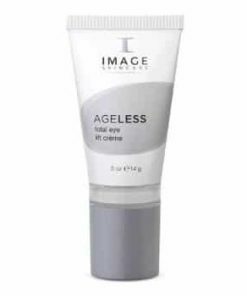 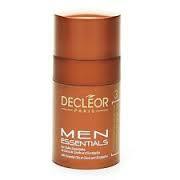 Contours are refined, signs of wrinkles and crow’s feet are reduced, the eyes look more youthful, brighter. 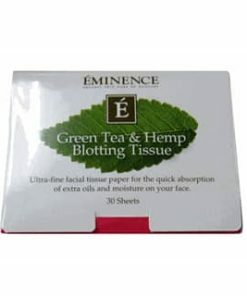 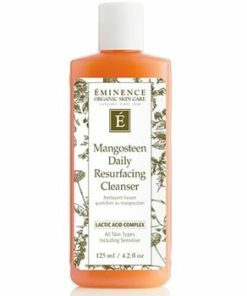 Aqua, Linseed Acid**, Euphrasia Officinalis Extract, Arctostaphylos Uva Ursi, Petrosilium Hortense Extract**, Sesamum Indicum Oil*, Glyceryl Stearate, Hippophae Rhamnoides Oil*, Glycerin, Theobroma Cacao Butter*, Cetyl Alcohol, Vitis Vinifera Juice*, Ascorbyl Palmitate, Tocopherol, Xanthane Gum, Trifolium Pratense Extract*, Humulus Lupulus Extract*, Carthamus Tinctorius Oil*, Nicotinamide, Pantothenic Acid, Sodium Hyaluronate, Retinyl Palmitate, Lecithin, Salvia Officinalis Oil*, Butyrospermum Parkii Butter, Perilla Ocymoides Extract*, Rosa Damascena D.*, Ubiquinone, Sodium Benzoate, Sodium Sorbate, Benzoic Acid, Lactic Acid, Magnesium Sulfate, Zinc Sulfate.